The FIFA World Cup 2018 has come to a glorious end in Moscow as France has made history and took home the trophy for the second time since 1998. While the world is falling over the game that happens once every four years, it was no surprise that every national team tried the whole bag of tricks only to claim the almighty world cup trophy and bring home the nation’s pride along with the cheers and chants of jubilant that could last a century. In the event of the universal sport that unites and brings people around the world together to celebrate teamwork and triumph regardless of skin colour, nationality, races and religions, we did not want to miss the boat to relive the spirit in our team. A football player can never pull off a game without each imperative teammate playing different roles in the field. At IME, we cherish team spirit and togetherness too as a driving force to get ahead and score in all fields we are specialising in. A futsal game was just in time and perfect for the season of FIFA World Cup. It was not a common occurrence that we teamed up against other team which was also made up of our own. However we believed sometimes a good game brings us together even closer and better. At the game, fatigue and weariness can never kill our spirits as we play a number of rounds just to pave our way to the final and claim our very own World Cup trophy – a 3D-printed FIFA World Cup Trophy replica. It was a work of art that sent us chills. All kudos to our team for crafting the trophy and bringing it to life! Check out some of the facts and let’s walk through the process of creating the 3D-printed trophy. 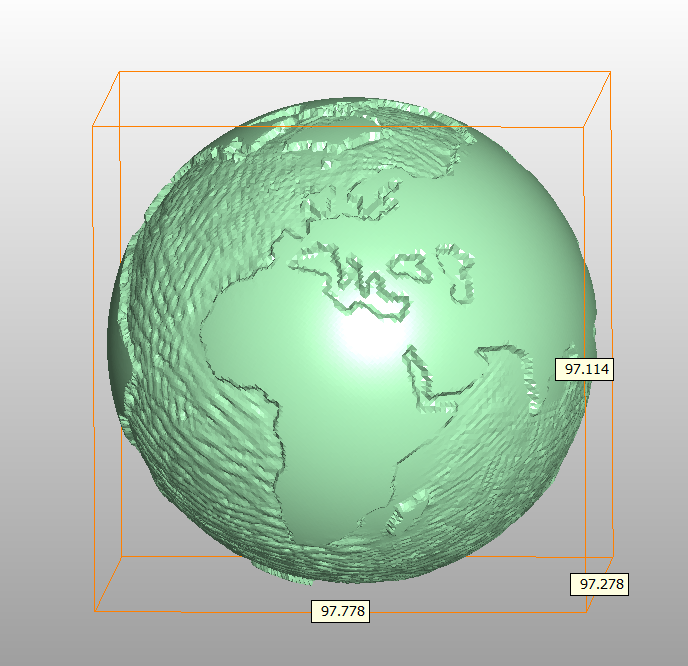 Structure : Assembled from 3 parts – the globe, the body, and the base. 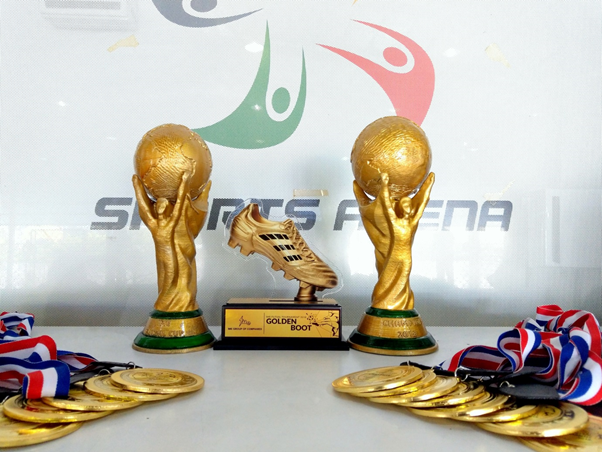 The concept of the IME Futsal Trophy 2018 was based on the FIFA World Cup Trophy; only differences were the dimensions and title. The printed concept was less expensive and had a very solid touch from the FDM Technology. 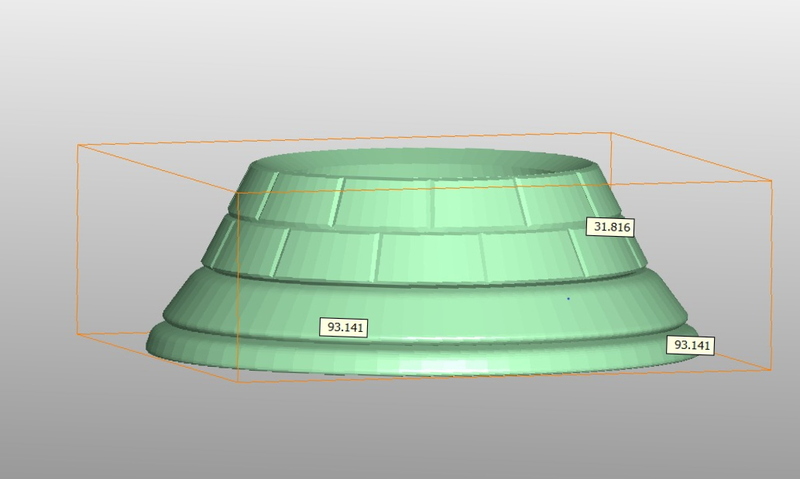 It did not require any support material in the process; and as the space of the printing bed was limited, the tall structure was printed into 3 divided parts (as identified above). To enhance its aesthetic, it was recoloured in green and gold, resembling the FIFA World Cup Trophy. 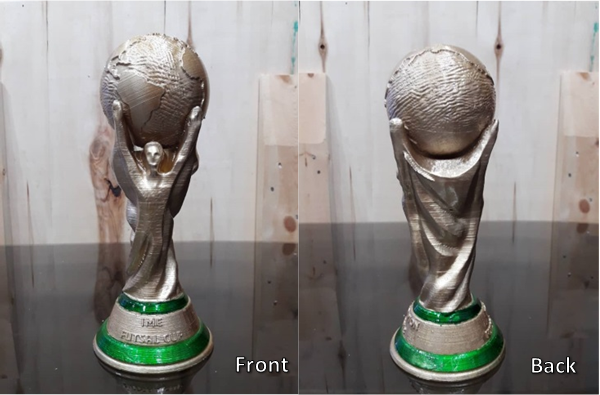 The trophy was placed into the Memmert oven to dry the paint out and a 3D-printed World Cup Trophy was brought to life. As much as the effort we put in delivering quality at work, we are not settling for anything less when it comes to play. Seeing the importance to balance work with play, we strive to bake work-life balance into our company’s culture in all unique ways to fit our organisation. Not to mention, sometimes we find as much fun in 3D-printing a World Cup as printing a wind turbine! 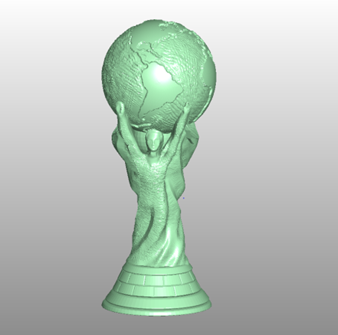 You can now print your own World Cup Trophy or customise your own in any way you like. 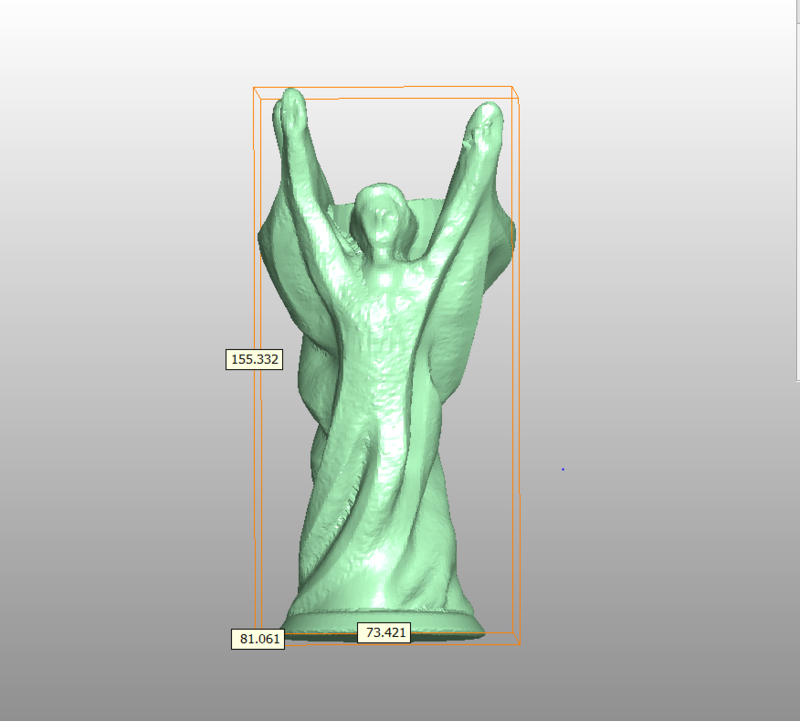 Click <here> to go behind-the-scenes of the making of this 3D-printed World Cup Trophy. When industry 4.0 is emerging, it is crucial to understand all the key elements of Industry 4.0 and the ways they are impacting the industry we are in. From there, we are going to see tremendous positive effects to our business by smartly implementing them. Despite the fact that many companies have already implemented some of the technologies supporting Industry 4.0, however they are being practised in isolation instead of interconnected autonomous system. To achieve greatest results and to stay competitive, these technologies have to be connected and communicated freely amongst each other as well as across various functions in the organisation. The development process requires effort but it is not impossibly difficult with the help of government initiatives and solution providers in catering different needs in line with diverse business natures. Moreover, we are glad to be part of the movers in upholding Industry 4.0, in hope of stimulating growth and development in the industries. 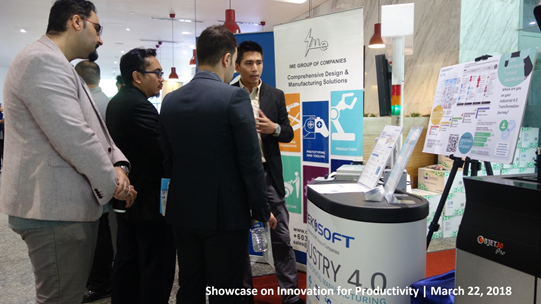 Earlier this year, we have participated in a number of Industry 4.0 events which allowed us to speak with more people on Industry 4.0 and ways to implement it. 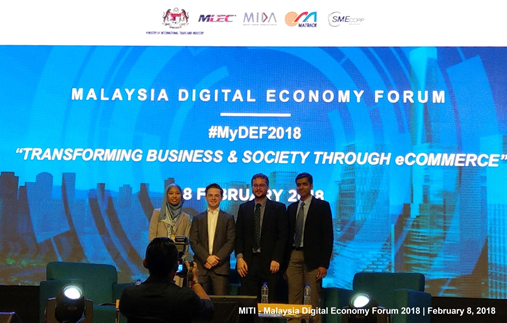 KUALA LUMPUR: The International Trade and Industry Ministry (Miti) is targeting to increase the number of companies coming onboard the Digital Free-Trade Zone (DFTZ) e-commerce platform to about 10,000 by year-end from 1,998 last November. Its minister Datuk Seri Mustapa Mohamed said since the DTFZ pilot project was launched by Prime Minister Datuk Seri Najib Tun Razak last year, there had been growing interest among local and international e-Commerce players. “We will work towards ensuring the sustainability of the small and medium enterprises (SMEs) that are already DFTZ-listed, and assist more SMEs to list on the platform to ensure that the SMEs are future-ready and equipped to venture into cross-border eCommerce,” he told a press conference after delivering his welcoming remarks at the Malaysia Digital Economy Forum here. The Star Online. (2018, 9 Feb). Miti eyes 10,000 e-commerce companies for DFTZ [Press Release]. KUALA LUMPUR: MCA’s newly launched Belt and Road 2.0 will serve as a centre to assist the formation of stronger bilateral ties between Malaysia and China in many different areas, says Datuk Seri Liow Tiong Lai. MCA Belt and Road 2.0 is built on five strategies – business transformation and young startups, SME Go-Global, trade and investment promotion platforms, Belt and Road policy coordination platforms, and education and training. 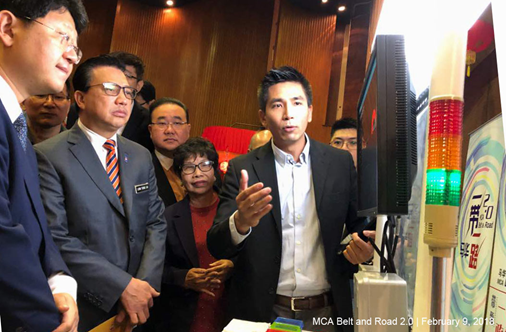 MCA president Datuk Seri Liow Tiong Lai said MCA was the first political party from abroad to respond to the Belt and Road initiative. Liow said bilateral trade between the two nations amounted to RM264.62bil in the first 11 months of last year, which accounts for 16.3% of Malaysia’s total trade. “We need to seize these opportunities,” he said. The Star Online. (2018, 10 Feb). MCA launches Belt and Road 2.0 [Press Release]. KUALA LUMPUR: Malaysia is on track to achieve the target of 3.7 per cent labour productivity growth annually valued at RM92,300 per worker by 2020.
International Trade and Industry Minister Datuk Seri Mustapa Mohamed said the country achieved labour productivity growth of 3.6 per cent in 2016, reaching 87.8 per cent, or productivity value of RM81,039, of the 2020 targeted level. “With the nine Productivity Nexus initiatives led by industries and supported by government and academia (in placed), we believe the country’s productivity will be further improved. “This year, the Nexus has planned over 42 projects, among them documentation of best practices, industry profiling and development of online productivity tool kits,” he told reporters after officiating the Showcase on Innovation for Productivity (SHIP) 2018, here today. The Productivity Nexus is a centre of excellence relating to productivity and is the catalyst in implementing productivity initiatives. Industries are encouraged to participate in the programme offered by the Nexus to further increase productivity. 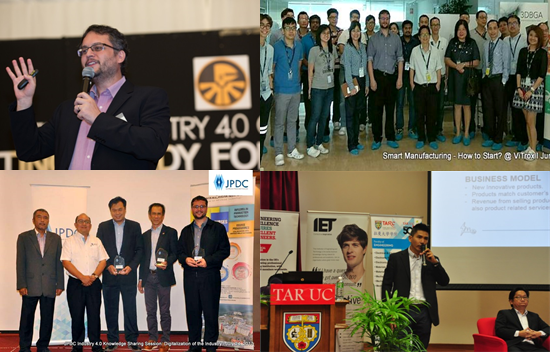 SHIP 2018 showcases best practices from four strategic innovation partnership platforms, namely the Ministry of Higher Education’s Public-Private Research Network, SIRIM-Fraunhofer Partnership, AIM-Steinbeis Foundation Malaysia, and SME Corp Bhd–PlaTCOM Ventures Sdn Bhd. During the 2015-2017 period, SHIP has spent about RM200 million, benefitting 1,600 small and medium enterprises. SHIP is an initiative under the purview of the National Oversight Productivity Council, which is part of the governance structure of the National Productivity Council. New Straits Time Online. (2018, March 22). Malaysia to reach RM92,300 productivity growth value per worker by 2020 [Press Release]. At times of a big move around, we hesitate to adopt new ideas and technology because we think we are doing fine with the old ones and we are already making profits using existing methods; why replace something we know so well with something we don’t? It might be safe game waiting for the first movers in the industry but little did we know, as soon as it happened; we are officially lagging behind. The process of change is not difficult but the courage to take on the flight is. A year has passed, but it is definitely not just another ordinary year down the memory lane. It is a fulfilling year we have not seen before. 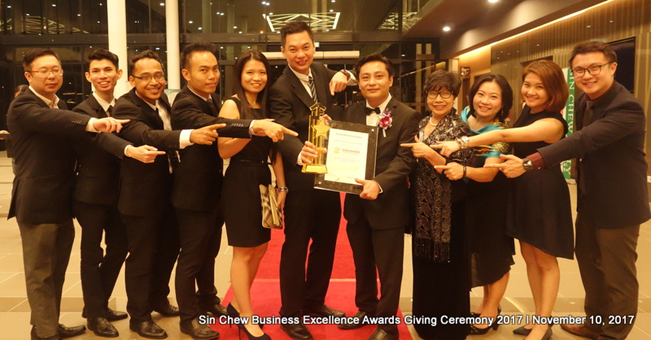 We are contented for the milestones we have accomplished and the effort we dedicated in giving back to the society. We are so thankful for the years we’ve had together, and excited for the years ahead. After all, it is the togetherness that keeps moving us forward. Here’s to more bliss and joy in the year ahead. Before that, take a look at our favourite moments of 2017. 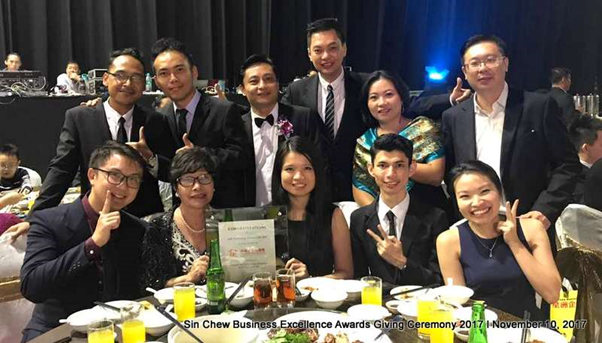 Words can’t quite describe our heartfelt gratitude for our customers for being part of our journey leading to our second Sin Chew Business Excellence Award under Digital and Technology category. Mr TK Teoh, Chairman and Founder of IME Group of Companies. Each and every year, we have been preaching the mantra, “to inspire and be inspired”. Staying true to the course, innovation remains the core in keeping us relevant and staying ahead in the market. 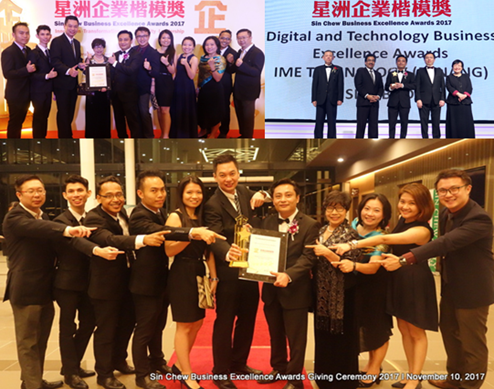 All of this would not be possible without our customers, business partners, and the ever so devoted IMEZen team. Being successful is not just about becoming bigger or stronger; it is to become smarter, more effective and adaptive. Looking to the future means building to last. Our heartiest congratulations to MIDA on celebrating its 50th Anniversary, and for the success of MIDA Open Day 2017. It was our honour to be invited by MIDA to design, lead and deploy the launching gimmick of the Open Day. The gimmick involving IME’s in-house developed High-Resolution 3D Printer, Automated Guided Vehicle (AGV), and a Collaborative Industrial Robot, reinforces that advanced technologies such as Additive Manufacturing, Automation and Robotics are not too far from us. On the topic of Industry 4.0, the Minister of International Trade and Industry highlighted that, “This is why the government is prioritising innovation and encouraging the adoption of Industry 4.0 elements such as Smart Manufacturing and Automation to build greater economies of scale. We are not just talking about this but we want to address the challenges and make progressive steps forward. By the end of this year, MITI targets to table the National Policy on Industry 4.0 to the Cabinet,” he concluded. We would like to acknowledge the support from our partners DF Automation and Robotics and ABB Robotics in making the launching a success. Now more than ever, collaboration between organisations, associations, and government authorities plays an important role in creating and enhancing synergy within the ecosystem, as well as in optimising resources and achieving collective strategic priorities. This successful collaboration further illustrates the importance of collaboration among organisations, we look forward to greater synergy across all parties. The era of innovation has come where the new generation of entrepreneurs needs intensive product design and development tools in order to achieve breakthrough. Considering the hardships that start-ups are largely facing – limited resources and access to technologies, IME Group of Companies decided to extend its Entrepreneur Programme to East Malaysia. We are working with local incubators to provide start-ups with access to full suite of SOLIDWORKS application and 3D printing technology, at zero cost. Complementing the Sarawak state government’s pledge to accelerate digital economy in the state and to catalyse industry players, academia and government collaboration, the partnership offers not only the complete suite of designing to manufacturing solutions to support the entrepreneur community in Sarawak, but also workshops and trainings that help to accelerate the product development process. Being in the transition of the third to fourth industrial revolution, we are witnessing history in the making. Industry 4.0 is here. Through disruptive technologies, it reshapes the way things are made; it also redefines conventional business models. We are honoured to be entrusted to be The Federation of Malaysian Manufacturers (FMM) Industry 4.0 Committee Member, and The Fourth Industrial Revolution Committee Member for National Chamber of Commerce and Industry of Malaysia (NCCIM). Vitrox CoE Training: Smart Manufacturing – How to start? IME assisted KDU Penang in setting up their SOLIDWORKS Certification Center. KDU Penang is the first education institution in Malaysia recognised as an accredited SOLIDWORKS Academic Certification Provider, thereby enabling KDU students to gain professional experience in the field of Engineering and work out their project design portfolios with the international professional certification prior to entering the working world. Madam Julia Wee, the CEO of IME Group of Companies. KDU Penang students will get the chance to use SOLIDWORKS software tools on multiple functions such as engineering design simulation sustainable design and documentation in the classroom or remotely. 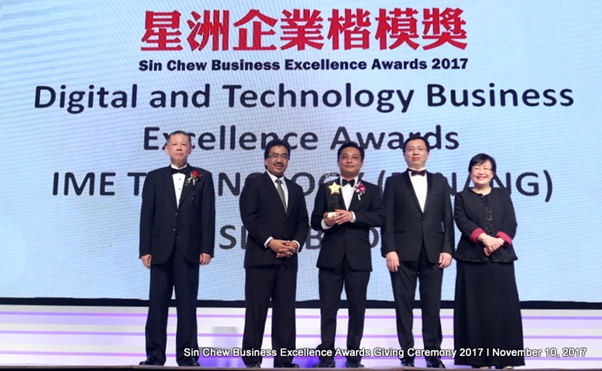 We are very proud to have won the Digital and Technology Business Excellence award in the recent Sin Chew Business Excellence Awards 2017 for the second time. Each and every year, we have been preaching the mantra, “to inspire and be inspired”. Staying true to the course, innovation remains the core in keeping us relevant in staying ahead in the market. It is not a solo journey, it’s ours! Greatest appreciation to all of our customers for being part of our journey and all of this would not be possible without the ever so dedicated team. A big thank you to all weathering the storm with us through thick and thin. We welcome more to embark on this journey to the future today, for tomorrow is here! 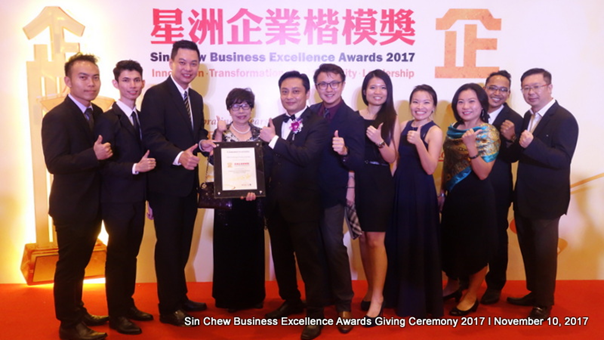 The Awards Giving Ceremony and Gala Dinner took place at Setia City Convention Centre, Shah Alam on 10th November 2017. Mr. Chuah Tun Chong, Sales Manager of IME Technology received the award from Dato’ Haji Johari Abdul Ghani, Minister of Finance II. 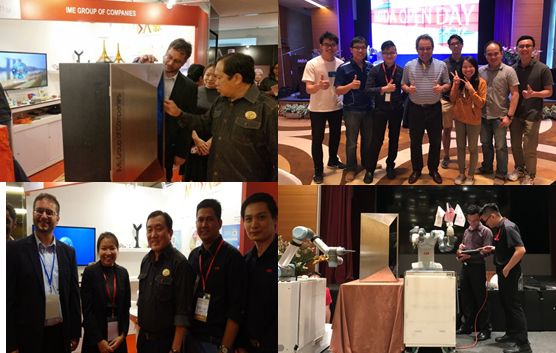 KUCHING, 4 November 2017 – IME Group of Companies (IME), a strategic partner of Tabung Ekonomi Gagasan Anak Bumiputera Sarawak (TEGAS) in the #InnovateSarawak campaign, brings IME SOLIDWORKS Innovation Day (IMESWID) to Sarawak for the third time. In collaboration with Malaysian Investment Development Authority (MIDA), Malaysia Digital Economy Corporation (MDEC), Collaborative Research in Engineering, Science & Technology (CREST), Penang Skill Development Centre (PSDC) and other industry partners, IME has jointly organised the event with TEGAS and Dassault Systèmes, with the support of Ministry of Education, Science & Technological Research and Centre of Technical Excellence (CENTEXS), at TEGAS Digital Innovation Hub (TDIH) today. The month-long event saw a total of some 1,200 participants from Penang, Selangor, Johor, Perak, Kuantan and Melaka, with Sarawak being the last stop. It is organised annually by IME since 2007; with the aim to cultivate innovation among the industry, and to serve as a platform to gather innovators and industry thought leaders as well as the academians. The event expanded from 3 locations to 7 locations in Malaysia, and has touched more than 9000 technology enthusiasts to date. Themed ‘Great Designs Get Built’ this year, the event focuses not only on technology trends and updates, but also industry 4.0 implementation. Local success have been shared and showcased to illustrate the role of technology as catalyst in creating great products. 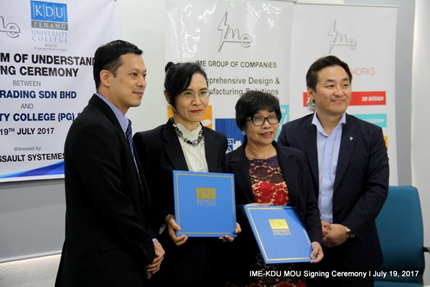 Through a Memorandum of Understanding (MoU) signed between TEGAS and IME in August, IME vowed to extend its support to the maker community in Sarawak with a full suite of solutions for CAD design, simulation, realistic rendering, and prototyping, by providing no-cost licenses to the leading 3D design solution – SOLIDWORKS as well as a 3D printer, through the state-initiated incubator, TDIH. Being the most widely used CAD(CAM) software, SOLIDWORKS is one of the tools under Dassault Systèmes for users to design, conduct virtual simulation and virtual manufacturing before beginning production of a product. 3D printer complements this process and enables makers to digitally produce any product direct from their CAD file. With such technology combined with 3D printing, it allows makers to bring their ideas into life without conventional manufacturing constraints. In today’s marketplaces, competition is fierce and consumer loyalty is nurtured by businesses that can create compelling experiences that go beyond simply purchasing or using a product. With the newly launched SOLIDWORKS 2018, teams can collaborate concurrently to more rapidly and cost-efficiently design a product or part, validate its function and manufacturability, manage its data and related processes, streamline and automate its manufacturing, and inspect it. Any changes in design or manufacturing are fast and easy to manage and automatically flow to all related models, programs, drawings and documentation, thanks to intellectual property embedded early on in the design process.